Children and youth can lead the change the world needs. This is the argument of Noble Peace Prize Laureate Kailash Satyarthi. In this article Mr. Satyarthi outlines a three-pillar plan designed to empower children and youth. What is the Big Bet? Children have to be the key in making sure we reach the SDGs. To realize the goals, Kailash has created a three-pillar plan, which focuses on strengthening the capacity of stakeholders in the child protection chain, training children and youth to be advocates of their own rights, and establishing a high quality knowledge base, capable of informing about child policies across the globe. Why is there a need for this Big Bet? Today, we still have a problem with children and youth being exploited in various ways. 168 million children are used as child labor, 85 million of these are working within dangerous fields and 57 million children are not in school. In order to stop this, we have to engage the children themselves and educate them about their rights. What could be the effect of the Big Bet? If children are given a voice, there is an enormous potential for change. Children are the next leaders of our world and by engaging them in questions about justice and injustice there is a higher chance of them leading the world in a more positive direction, which could secure a safer future for the next generation. 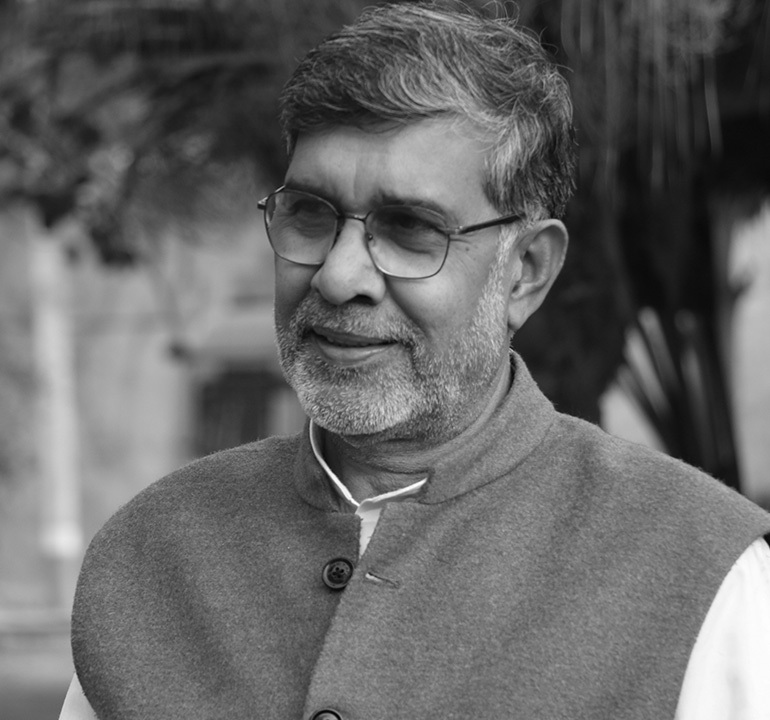 Nobel Peace Laureate Kailash Satyarthi, Founder of Kailas Satyarthi Children’s Foundation, is tirelessly advocating for children’s rights.